Grace often mocks the defense with air quotes. Over the holiday weekend, CNN host Nancy Grace announced that she would be leaving her popular self-titled show later this year. Grace currently holds the media's crown for publicly proclaiming a defendant's guilt long before a jury has reached a verdict. How she has escaped being sued into bankruptcy over the last two decades is beyond me. If a case is especially high profile (and therefore destined for high ratings) Grace starts the slanted presentation right from day one, sometimes before charges are laid. A former prosecutor, she guises her overt bias in the self-professed role of "victims' advocate." It makes perfect sense to her and to many Americans that compassion for the victim involves – even requires –jumping the gun and naming a defendant guilty before the wheels of justice begin to move. Never mind that the defendant may be innocent or that the victim does not want the wrong person to go to jail. In Grace's way of thinking, the mere suggestion that there may be another suspect other than the defendant; that there may be more to this legal drama than initially meets the eye, is almost as bad as committing the crime itself. Grace's approach to covering true crime has caught on like wildfire. Who doesn't love a good witch hunt? At the very least, it appeals to our innate desire for every story to have good guys and bad guys. As a general rule, the audience wants the opposing sides to be named early on. That way, we can root for our team as the story unfolds. In the minds of Grace and many of her viewers, prosecutors and detectives are almost always on the winning team. The defendant and his or her counsel are the losers. If you need to roll your eyes and mock them with air quotes, go for it. We all know the suspect is guilty. Has Grace's style rubbed off on me? I'm afraid so. 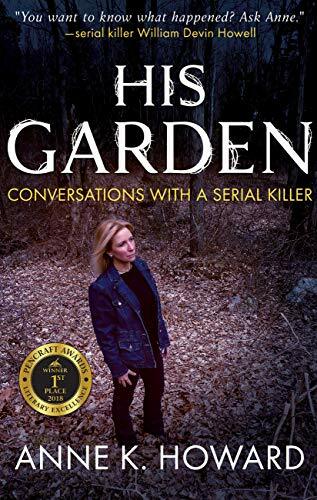 Last summer, I spoke with a prospective publisher about my unfinished true crime manuscript regarding the investigation and upcoming trial of New Britain serial murder suspect, William Devin Howell. "Who is the protagonist?" she asked. 'Damned if I know,' I honestly thought. "You can't write it without knowing the protagonist," she admonished. I went home and weighed my options. I could take the predictable route and depict the prosecution as the protagonist. Doing so would certainly minimize the negative feedback that I was already receiving behind the scenes from loved ones of the victims and readers who have concluded Howell's guilt. Despite the obvious perks, however, I just couldn't stomach the idea of siding with the prosecution in this particular case. Months back, I sent an email to the office of the Chief State's Attorney requesting an interview. Of course, I knew my request would be rejected given the active status of the case. I was just doing my journalistic duty and putting my feelers out there. What troubled me about the response that I received was the State's snippety tone. You see, in writing my request I had wrongly called the Chief Attorney Kevin Kline, not Kevin Kane. 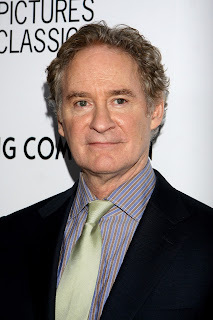 Hey, I am relatively new to Connecticut and the name of actor Kevin Kline was stuck in my head. The sender tersely wrote, "By the way, his name is Kevin Kane, not Kline" (i.e. you idiot.) The derisive tone solidified the impression that I have had of prosecutors since I started practicing law. They can be an arrogant lot. Why would I want to paint them as Salt of the Earth in my upcoming book, no matter how strong the case at hand? Kevin Kline is an actor, not an attorney. In the months that followed, I tried to spin Detective DeRoehn as the good guy. That did not sit well, either. I knew that DeRoehn's role in investigating the disappearance of Nilsa Arizmendi was not always on the up and up. For example, prior to Howell's arrest for Arizmendi's murder, DeRoehn filled out a government form in a way that many would consider to be knowingly misleading. In order to locate the now infamous blue van that was owned by Howell's girlfriend, Dorothy Holcomb, but driven by Howell, DeRoehn checked the box on a DSS form indicating that getting the registration number on the vehicle was for the purpose of locating or apprehending the individual named in this request (i.e, Holcomb, not Howell.) The form was directed at the recipients of food stamps and/or cash assistance. Howell did not partake in those state programs. Holcomb did. DeRoehn later claimed that checking the box was an oversight on his part. That's a considerable mistake for a man who routinely fills out government forms for a living. Moreover, when he located the van and went to Holcomb's house for questioning, he lied and said that he was there to investigate some lawn thefts in the area that may be related to the driver of the blue van. That particular ruse was entirely legal, and not unusual in the investigative process. Still, it did not make me want to portray DeRoehn as a knight in shining armor. There was only one option left in my narrative toolbox. I could depict Howell's defense counsel as the protagonist. The idea was almost laughable. Thus far, this case does not resemble The Making of a Murderer. In my research, I have found no egregious investigative errors resulting from the State's excessive zeal. In fairness, however, the media has access to bits and pieces of information put out there by the prosecution. We won't know all of the defense's cards until they are presented at trial. With that in mind, I really look forward to seeing what defense counsel comes up with along the way. If Howell's attorneys, William Paetzold and Jeffrey Kestenband, can pull even a few lame rabbits from the defense's hat, I will be duly impressed. If they can overcome the Nancy Grace presumption that most Americans entertain, to wit: there are no cracks in the State's case, nor is there anything that comes close to reasonable doubt regarding the defendant's guilt, I will be in speechless awe of their lawyering skills. Not only will they have pulled a lame rabbit from the hat, they will have resurrected it from the dead. The interrogation of Brendan Massey in Making of a Murderer. When all is said and done, I will not write the manuscript having chosen the protagonists and antagonists in advance. That tactic may work in a John Grisham novel, but in the arena of true crime, it can significantly jeopardize the integrity of the work. So here's my solution which I pray will keep my Nancy Grace demons at bay: I will continue with the research, carry on with writing and visiting the suspect, and eventually attend the trial with an open and observant mind. By story's end, if there is a good guy in this book, I suspect it will be the law itself; an individual's Constitutional right to a fair trial regardless of the heinous nature of the crime for which he has been accused, or the seemingly insurmountable odds against him. That cornerstone of the American justice system will likely be my good guy.